Clarence “Tom” Ashley was a performer, an artist, and a showman who spent 30 years traveling with a medicine show where he played clawhammer banjo, sang, and performed as the blackfaced comedian “Rastus.” It was during the medicine show days that a young fiddler named Roy Acuff was hired to work with Ashley. Ashley was 36 years old and was paid $35 per week and Acuff was 27 years old and paid $20 per week. The two of them worked together for two years and became lifelong friends. Some of Ashley’s early recordings such as “House of the Rising Sun” and “The Greenback Dollar” were later recorded by Acuff. Ashley became famous in his own right during the late 1920’s when he recorded “The Coo-Coo Bird” considered by music scholars as an important recording of early country music that influenced a whole generation of folk music of the 1950’s and 60’s including Bob Dylan, Joan Baez, Jean Ritchie, and Doc Watson. In the late 1920’s and early 30’s, Ashley recorded during the Johnson City Sessions, recorded under the name of Clarence Ashley for Columbia Records, and recorded under the name of Tom Ashley for Victor Records. 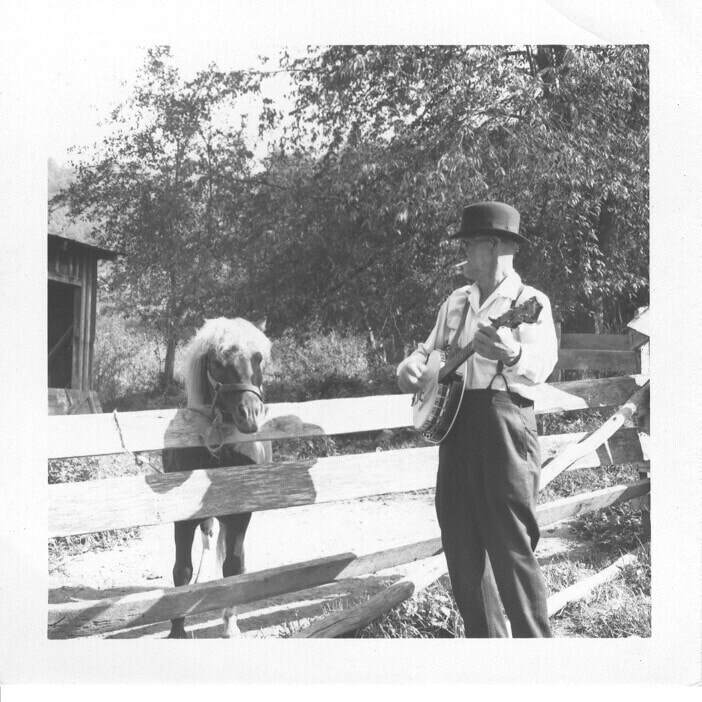 His love for the old time music of the Appalachian Mountains never waned but during and after the depression and out of necessity, he pursued other ways of making a living. During the folk music revival in the 1960’s, Ashley and his “Coo-Coo Bird” were rediscovered by Ralph Rinzler and his musical career was once again in demand. Ashley, with his neighbors, fiddlin’ Fred Price and Clint Howard contacted a blind musician who was playing on the streets of Boone, NC to join their group. That blind musician later became the famous Doc Watson. The four of them played in various large city venues including Greenwich Village, the University of Chicago, UCLA, the University of Wisconsin, a three-week engagement with Jean Ritchie at Ash Grove in Los Angeles, and Pete Seeger’s Christmas Concert at Carnegie Hall. In 1966, Ashley made an educational television film, a “Voice of America” broadcast and a musical tour through England which included 18 engagements from London to Cornwall. He was scheduled to return to England for a series of concerts the following year but discovered he had cancer. In June of 1967 at the age of 71, Ashley died. His grave is on a hillside near his home—the place where he asked to be buried and the subject of the song he had written four years earlier entitled “Little Hillside” which was recorded on his last Folkways album. Ashley recorded 61 single records and 11 albums. His “Lassy-making” tunes and his unique clawwhammer banjo picking style continue to influence musicians such as Jerry Garcia of “Grateful Dead” who said in an interview that he learned clawhammer picking from listening to Clarence Ashley. 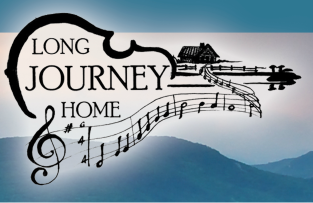 In addition to his influence on country and folk music, it is Ashley’s arrangement of “Amazing Grace” that is sung in churches all over America. In 1981, the University of Tennessee Press published a book called Tom Ashley, Sam McGee, Bukka White—Tennessee Traditional Singers and in 2013, the Library of Congress added the album, “Old Time Music at Clarence Ashley’s” to the National Recording Registry. Clarence "Tom" Ashley was the first to record the legendary "House of the Rising Sun," a song he learned from his grandfather, Enoch.